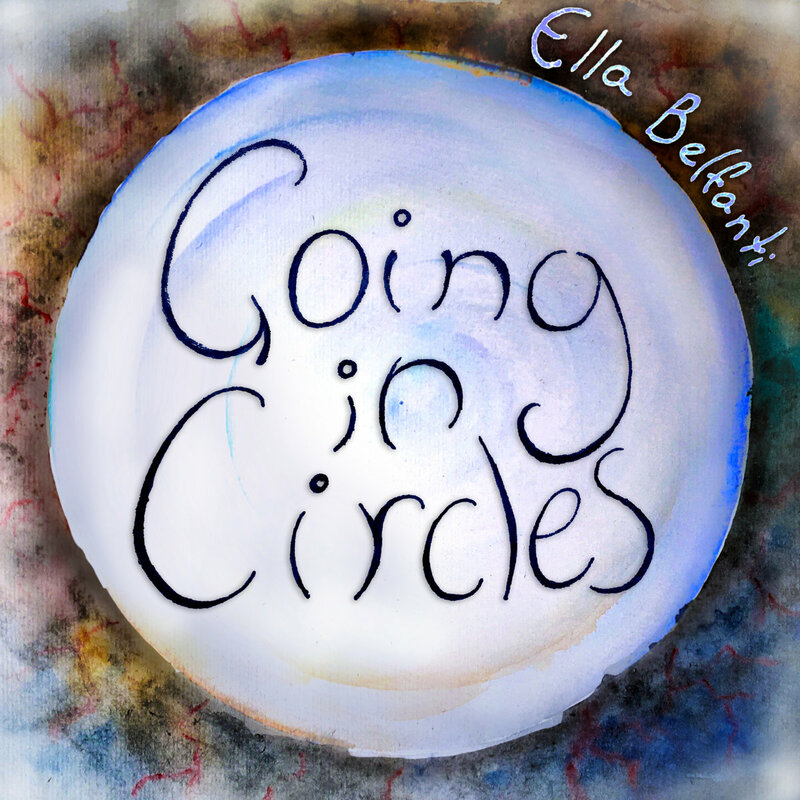 Ella Belfanti's debut EP 'Going in Circles' (released February 14th, 2017) explores the more ballad-like side of Ella’s music. Featuring 6 original songs with all instrumental and vocal parts performed, recorded and produced by her with a 2-line input audio interface, the songs have a unique heartfelt sound crafted from layering of vocals and guitar, as well as bass, bongos, cajon, flute, and sounds made from found objects including pencils, cane baskets, paint brushes, and some pots. Ella also designed her own album cover, having a background in visual arts and design.